To the N.H.L. and its commissioner, Gary Bettman, the diagnosis is likely to be the latest piece of evidence to dismiss or combat. Even as links build a chain bridging the sport to C.T.E., the degenerative brain disease associated with repetitive head trauma, and some of the game’s most-revered names push the league to take a more open-minded approach, the N.H.L. has denied any connection between long-term brain damage and hits to the head. The N.H.L., following the N.F.L.’s strategy of about a decade ago, still contests any role in the burgeoning science of C.T.E., in the courts of law and of public opinion. Besides Parker, at least six other N.H.L. players have been found to have had C.T.E. : Reggie Fleming, Rick Martin, Bob Probert, Derek Boogaard, Larry Zeidel and Steve Montador. Parker’s disease was classified as Stage 3 out of four stages of C.T.E., according to the scale used by researchers at the Boston University CTE Center. “It was fairly advanced, and we called it Stage 3 because it was significant,” said Dr. Ann McKee, chief of neuropathology at the V.A. Boston Healthcare System and professor at Boston University’s School of Medicine, where she is director of the CTE Center. 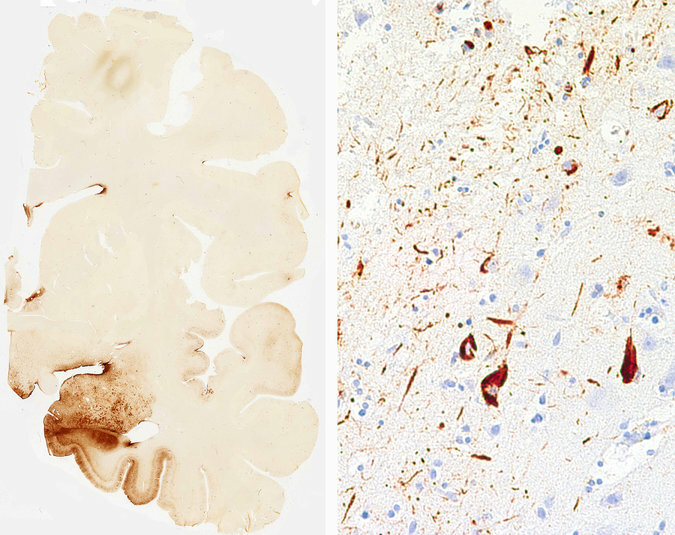 The CTE Center is currently examining the brains of three other former N.H.L. players. Last year, McKee said that she had found C.T.E. in the brains of three former junior players and one former youth hockey player, none of whom advanced to the N.H.L. Each committed suicide before turning 30. “It’s very hard to deny a link, I think, at this point,” McKee said. The N.H.L. did not respond to requests for comment on Thursday. Hockey is the team sport with the second-most known cases of C.T.E., lagging far behind football, where the numbers have surpassed 100. (There have been more boxers and military members diagnosed, too.) But the sample size is small. That is something researchers hope to change by encouraging more hockey players to donate their brains. On Wednesday, the longtime N.H.L. veteran Daniel Carcillo, now retired, announced that he would donate his brain, joining a growing list of hockey players that includes Hayley Wickenheiser and Andrea Ruggiero, Olympic gold medalists who made the pledge this year. Parker made no plans for a brain donation before he died from an infection related to a catheter that treated pulmonary hypertension. The subject was raised with family members just moments before Parker was to be cremated in Minnesota. The C.T.E. results, recently given to the family, confirmed suspicions. Parker was a high school star in Minnesota, a national champion at Michigan State and a gritty professional who played all or parts of five seasons in the N.H.L., ending when he was knocked out with a hit in 1991 while playing for the Hartford Whalers. It was barely noted. His athletic rise and eventual postcareer struggles followed a now-familiar arc among many later found to have had C.T.E. — relative fame and fortune fading into an erratic postcareer life overcome by symptoms associated with brain injuries. “There was a change in that lighthearted kid who left White Bear Lake and the one who came back from the N.H.L.,” Scott Parker, Jeff’s older brother, said. The Parkers, with three boys, were a quintessential hockey family in suburban Minneapolis-St. Paul — broken windows in the garage from pucks flying during indoor games, a pond across the road and rinks at the high school up the street. 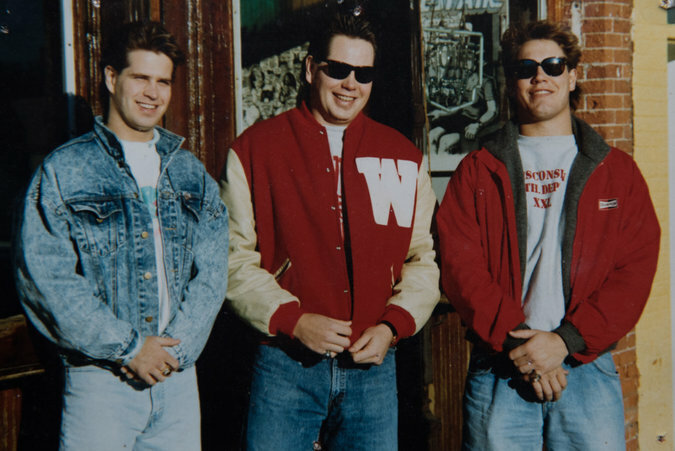 All three brothers played in college and won national championships — Scott at Wisconsin-Eau Claire, Jeff at Michigan State and John at Wisconsin. Jeff, the middle boy, was the best player. He grew to 6-foot-3 and about 200 pounds, and could shoot a puck over the net from past the blue line as a child, his brothers said. 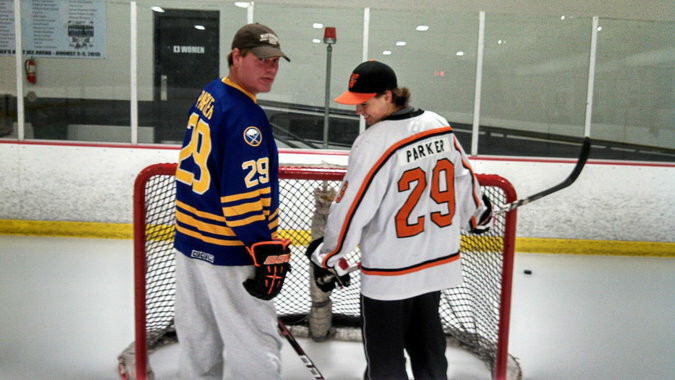 Before he turned 18, Parker was drafted in 1982 by the N.H.L.’s Buffalo Sabres in the sixth round, No. 111 over all. He delayed a leap to the pros to play three seasons at Michigan State. He was a strong, aggressive forward, trusted to kill penalties and spent a lot of time in the penalty box himself. Professional coaches immediately saw an additional role for Parker. At an early practice, awaiting a face-off, he was told to fight, his family said. The grainy highlights of his pro career are filled mostly with big hits and bare-knuckle fights. Hopes to come back after being knocked down for the last time did not last long. Parker soon exhibited many of the symptoms now associated with C.T.E., such as memory loss and impulsivity. He struggled with bright light and spent countless hours in the dark, trying to soothe his brain. He tried to finish college, Scott Parker said, “but his brain couldn’t function like that anymore.” He could not read without headaches or keep a steady schedule. He would miss appointments or show up at the wrong place. He once came to a meeting without shoes. He lost a lawsuit filed against the N.H.L., the Whalers and Capitals, and the arena where the last injury took place. “By deciding to participate as a player in the hockey game, Parker voluntarily chose to accept the risk,” a judge wrote in a 1995 ruling. Parker lost his savings and spent several years homeless around St. Paul. The family lost track of him in the late 1990s before he emerged again. He spent most of the final 15 years working odd jobs, mostly as a bartender. Scott Parker said he spoke to Jeff on the phone about three times a week, and the conversations were mostly playbacks of stories that Jeff did not remember that he had told before. One symptom associated with C.T.E. that he did not display, his family said, was wild mood swings or violent behavior. He did not ask for help or attention. He would always say that he was fine, and family and friends considered him affable and easygoing, to the end. Parker was one of the more than 100 former N.H.L. players named as plaintiffs in a continuing class-action suit against the league, arguing that the N.H.L. concealed information from players about the risks and long-term effects of concussions. The family said Parker had no acrimony toward the N.H.L., but hoped awareness might aid future players. That lawsuit has churned through United States District Court in Minneapolis for years. The sides now await a judge’s decision on whether it can continue as a class-action suit — which would automatically add about 5,000 plaintiffs to the case. A similar situation in the N.F.L. case in 2015 pressured the sides to reach a settlement. In the lawsuit recently, the N.H.L. asked for records from the CTE Center’s brain research, including the names of all the athletes who donated or agreed to donate their brains. The judge denied the request last month. The N.H.L. has long argued that it is impossible to directly link hockey and C.T.E., though an email chain from 2011 seemed to contradict that public stance. As recently as last month, Bettman reiterated his belief on a New York radio show that there is no medical evidence linking hockey and C.T.E. In a recent interview with The Times, Bettman said that “the game is safer now than it ever has been,” citing evolution in things such as medical care and rule changes. In an essay for The Players’ Tribune in April, the Hall of Fame hockey player and author Ken Dryden pleaded with Bettman to put an end to hits to the head in hockey. Dryden said his 2017 biography of Montador, a 10-year N.H.L. veteran who died in 2015 at age 35 and was found to have had C.T.E., was meant for an audience of one: Bettman. The growing pressure has not moved the N.H.L. yet. Perhaps each new finding of C.T.E. nudges it closer to changing its mind.